← NFL Pick ‘Em Season 5 Season Finale – Congratulations Eagles! Congratulations Ray! Ehnother Podcast Proudly Presents: NFL Talk Plus Episode 55! The post Super Bowl show means Keith and I sit down this week to talk about the game itself for the first half of the show. From the winners, how we felt about it, some of our favourite moments and highlights and some of the decisions made. The second half of the show is the week’s news. Now we did pre-record this week’s show and so there has been some big news since Wednesday when we recorded, but we will get to that next time. 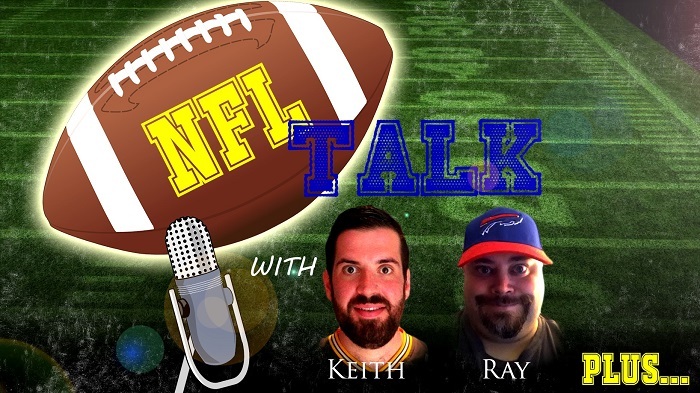 For now, here is this week’s episode of NFL Talk Plus. This entry was posted in NFL Talk Plus and tagged Aaron Donald, Alvin Kamara, Andre Roberts, Baltimore Ravens, Bobby Bethard, Brian Dawkins, Brian Urlacher, Buffalo Bills, Carolina Panthers, Carson Wentz, David Amerson, Detroit Lions, DeVier Posey, Drew Brees, Football, Green Bay Packers, Hall of Fame, Indianapolis Colts, J.J. Watt, Jerry Kramer, Jerry Richardson, Josh McDaniels, Keenan Allen, Keith, Like Kuechly, Marshon Lattimore, Marty Hurney, Matt Patricia, New England Patriots, NFL, NFL Honors Awards, NFL Talk, Nick Foles, Oakland Raiders, Ozzie Newsome, Pat Shurmur, Philadelphia Eagles, Podcast, Randy Moss, Ray, Ray Lewis, Robery Brazile, sports, statistics, Super Bowl LII, Terrell Owens, Todd Gurley, Tom Brady, Toronto Argonauts, Warlock Hour. Bookmark the permalink.